Initially I used this blog "qualitypoint.blogspot.com" for sharing my knowledge and experience about Software Testing and QTP Automation. And, I released an eBook by compiling the QA related contents of this blog. Right now I am selling the eBook for $12 only. I think it is low comparing to other similar ebooks. But still I am receiving many emails asking me to send the eBook for free as they couldn't afford this $12 payment. Since mostly Job Seekers are requiring this eBook, I believe their request is valid. So, Instead of increasing the price, I thought of doing some workaround to get additional income from this eBook while still allowing the people to get the content free. I put all the contents of the eBook in QTPBook.com and added AdSense Ads. So, the people can freely read this eBook content in QTPBook.com while I am earning from AdSense Ads. Anyway, people who don't want to get the Ads can still buy the eBook just by paying $12. I am working on to enhance this QTPBook.com by adding lot of new stuff apart from putting content of our ebook. Right now, I added QTP Jobs and Testing News section. Still planning to improve it further. And, you can share your suggestions for improving this site. You can start using this QTP Book Site. In my previous post, I had explained about Earning money from your website or Blog using Google AdSense. Currently, I am using AdSense in almost all of our blogs and sites. It is giving moderate earnings. And, I am looking for some other ways to monetize our blogs/site traffic apart from using AdSense. Since In-text ads won't require any additional space, I thought of putting In-Text ads in our sites and blogs. You might have seen many sites showing links with dotted underlines or double underlines apart from regular links with single underline. They are called as In-Text ads. I did lot of Google search and reading to find appropriate In-Text program. Finally I chose InfoLinks. Most of the reviews and forum discussions say that AdSense income will not be affected by adding InfoLinks ads. But, one Flippa Auction listing person says that his AdSense income got reduced when he uses InfoLinks. So, I would like to do more analysis before implementing InfoLinks ads in further sites. And, it seems InfoLinks eCPM will be low comparing to AdSense eCPM. If you are using InfoLinks and AdSense, you can share your experience thro' the comments. Even if the In-Text ads won't require any additional space, they may irritate the users. So, I am thinking further options to monetize our sites traffic while giving good user experience. Right now, I am thinking about Commission Junction (cj.com) affiliate program, and I joined as publisher. Currently working on finding appropriate links to promote. And, it seems, CJ is not having paypal as payment option. If you are using Commission Junction successfully, you can share your experience. Few Days back, I had informed about our SEO Executives job openings for Fresh Graduates. Still, we are looking for suitable Candidates for this job opening. So, we are arranging Walk-in Interview on August 30th in Chennai at 11a.m to 1p.m. Refer my previous post to know the job details and the required qualifications. If your profile match with our requirements and you are NOT having any specific salary expectation, you can attend this walk-in interview. And, if you are having any specific salary expectations, you can send your resume to qualitypointmail@gmail.com along with your salary expectation details instead of coming for this walk-in interview. Bring your hard copy of your resume while coming for the interview, and send your soft copy of the resume to qualitypointmail@gmail.com before coming for this walk-in interview. We are selling an interesting memory game script Easy learning. Today, we have launched a new website PlayMemoryGame.Com by installing this easy learning script. We have loaded some topics such as Software testing, English words, php functions, kids-addition, Social Media, etc. And, this site is provided with Admin panel for adding new topics and games easily. Lot of value pairs for any topic can be added by doing single file upload. And, it has viral marketing part for sharing the score with friends thro' email. The email feature is having facility to prevent misuse of email feature by tracking ip and time duration. You can play memory game now. If you are interested to buy this site you can, send me your offer price. PayPal has implemented Auto Withdraw for Indian Users. It seems it will be done on Daily basis. And, I have noticed that PayPal has removed the Rs.50 fees for the withdraw. Anyway PayPal will still get income from the Exchange Rate difference. Find below more details from the PayPal site. Auto withdrawal is the process of automatically transferring your funds from your PayPal account into your bank account in India. Where will my funds be auto withdrawn to? Your PayPal balance will be auto withdrawn to your bank account in India. If you have one bank account added to your PayPal account, it will be set as your auto withdrawal account. In case you have more than one bank account added to your PayPal account, you will have an option to set your auto withdrawal account. Why are my funds being auto withdrawn? This is an Indian regulatory requirement and applies to all PayPal users in India. When does auto withdrawal happen? Your PayPal balance is auto withdrawn to your local bank account in India daily. You can check your bank account within 5-7 working days after your funds have been auto withdrawn from your PayPal account. Log in to your PayPal account and click Withdraw at the top of the page. Select the bank account you want to use. Select your purpose code for withdrawals. Make sure that your information is correct and click Continue. Can I use my PayPal balance? When you receive payments and it is available as balance in your PayPal account, you must withdraw your funds or let withdrawals happen automatically. In accordance with Indian regulations, you can’t make purchases or send payments with your PayPal balance. Please use your card linked to your PayPal account to make purchases or send payments. *If foreign exchange or currency conversion is required to complete any transaction, this will be performed by a licensed financial institution. The foreign exchange rate is adjusted periodically on a daily basis to reflect market conditions and includes a 2.5% processing fee which is retained by PayPal. The exact exchange rate that applies to your transaction will be displayed to you at the time of the transaction. In the January Month, PayPal had informed the India users to transfer the paypal payment to Indian bank account within 7 days. This Auto withdrawal is having a shortcoming. You can read this post for more details. U.S President Barack Obama has released a Statement about Libya. Obama says that the future of Libya is now in the hands of the Libyan people. According to his statement, the United States has recognized the Transitional National Council (TNC) as the legitimate governing authority in Libya. Read below his complete statement. We are looking for Fresh Graduates to work as SEO Executives in our Chennai Office. Preference will be given to the candidates who will be having some knowledge/experience in choosing appropriate keywords, Social media promotion strategy, on-page optimization, article writing, article submission, blog commenting, directory submission and search engine submissions. Anyway, Freshers can also apply for this job. We can train them to become SEO expert. (Salary/Stipend will be given during this training period also). Any Graduates with Good English language, Communication skills and Team spirit can apply for this job. Having interest/knowledge/experience in programming especially php scripting will be an added advantage. They will be given opportunity to work as web developers once after working as SEO Executives certain period (around 6 months). If you are interested, send your resume to qualitypointmail@gmail.com with below details in the email content. Apply for this job only if you are really interested in joining our Team. And, if you feel that you are suitable for this job opening , you can walk-in to our offices at 3pm tomorrow (August 23rd) to attend interview. Office is located at the end of V.O.C street. Turn right at end of the V.O.C street, and Office is located at 2nd building (Green color) in the right side. HP is going to stop the production of webOS devices such as the TouchPad and that it may consider sell its PC group. HP is the largest PC maker in the world with a quarterly revenue of $31.2 billion. Riding on its success as a PC OEM, HP grabbed webOS as part of its $1.2 billion Palm deal last year. It seems HP will be developing WebOS further. But it is not clear about who is going to use webOS. ZDNet has reported that HP may start doing the business of licensing the technology. IBM has announced that it has built two prototype chips to process data more like how humans digest information than the chips that now power PCs and supercomputers. Few days back I had mentioned about our New website FreeOnlineTimeSheet.com. Now, I have listed this site for sales thro' Flippa Auction with very low BIN price. This site FreeOnlineTimeSheet.Com hosts SaaS based Time Sheet Application. According to Estibot, the domain name value itself is $320 USD. And, note that this site is developed using our own timesheet script, so you need NOT make any yearly license fees for using the timesheet script. This site provides various ways to earn money. You can earn using adSense as the CPC is high. And, you can earn by doing affiliate marketing of timesheet products. Instead of keeping everything free, you can earn by making some part of the service as premium/paid service by making some small code changes. Websites Sales with Offer price - Christmas Site, OnePass Site and TwitterTools Site. We are developing websites SEO friendly and we choose the websites based on the demand, CPC, competition and Search volume. And, we used to promote our sites thro' Social Media and by doing white hat SEO. Since we have started creating/promoting new set of sites, I am planning to make quick sales of our previously developed sites at reduced price. Find below few of the sites. If you are interested to buy these sites contact me (rajamanickam.a@gmail.com) before some one else use this opportunity. Currently I am actively trying to sell our Christmas related site "TheChristmas.Info" as the Christmas is approaching. We developed this site SEO friendly, and added more than 125 blog posts. Apart from these posts, we added RSS/JS script for showing latest Christmas news and for showing Christmas stories dynamically. It is having Google pagerank 3 and many inner pages are also having google page rank. We are doing blog commenting, social media submission and article submission for promoting this site. So, this site started getting many inbound links, and it started getting organic traffic for some keywords such as "christmas crib"
If you refer Google Trends, and keyword tool, you can understand the huge potential for this Christmas related site. If you are interested to buy this valuable site, you can buy it by paying $340 USD only. You can visit the site at "TheChristmas.Info"
And, I plan to start selling lot of other sites also. If you are interested you can refer this sales to your friends/business circle who may be interested in investing in websites. For example, I can sell our OnePass.Biz site for around $490 USD. Note that according to SEMRush, monthly SE traffic price for this site is $341. Initially I registered this site for developing an application for doing flight search using php-curl. But currently I am engaged in lot of other works. So, I asked our Team to just make it as business directory to list business related websites. Find below key features of this OnePass site. According to SEMRush CPC for "onepass" is good. (i-e $1.11) and monthly SE traffic price for the site OnePass.Biz is $341. As of now, it is appearing 5th position in yahoo/bing for the keyword "onepass"
It is having more than 25 posts which are created by collecting best sites in various business categories. And, we are trying to create a single page for accessing all important sites. It may go Viral. Right now, this site is having few posts providing useful links for business. Anyway, the site buyer can use it for giving news about Google onepass which will become popular in future. Or, they can post about Travel related stuff. Similarly, I can sell our TwitterTools.Biz site just for $97 USD. You can try all the features in this site TwitterTools.Biz to realize the real potential of this site. In brief, these Twitter Tools scripts help to manage multiple Twitter accounts easily to bring targeted Traffic to any website. Switching between multiple accounts is very easy, and even you need NOT switch between accounts for sending same tweet to multiple accounts using "MultiPost". It is having most of the features (timeline, @mention, retweet, Quoted retweet, DM) of Twitter in addition to providing AutoTweet and Multipost features. And, bulk loading options are available to load lot of tweets and many Twitter accounts easily from csv files. Apart from these Twitter Tools, this site is loaded with Quiz , memory Game and Social Bookmarking. All these modules are having complete Admin Screens to manage them easily. And, NewsBot will submit social media news automatically and the submitted news will be tweeted automatically. Just explore the features in this site to understand the potential of this site. You may refer this post to know the growth of Social Media especially Twitter. Let me know whether you are interested in buying any of these sites. If you are interested to buy these sites contact me (rajamanickam.a@gmail.com) before some one else use this opportunity. And, check with me to know the availability of the site before making the payment. I decided to sell these sites at low price, as I am planning to start an interesting social media tools related project. Apart from this Offer, you can participate in below Auctions if you want to buy the sites. And, watch this blog to know about our further websites sales. Google Buys Motorola Mobility for 12.5 Billions Dollars, Android will remain as Open Source. 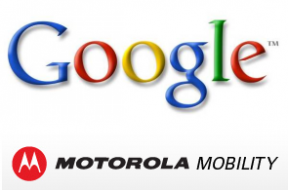 Google is acquiring the Motorola Mobility for $12.5 billion. Google CEO Larry Page has confirmed this information in Google blog post. Google Inc. (NASDAQ: GOOG) and Motorola Mobility Holdings, Inc. (NYSE: MMI) announced that they have entered into a definitive agreement under which Google will acquire Motorola Mobility for $40.00 per share in cash, or a total of about $12.5 billion, a premium of 63% to the closing price of Motorola Mobility shares on Friday, August 12, 2011. The transaction was unanimously approved by the boards of directors of both companies. Google is the search and online advertising company. And, Motorola has a history of over 80 years of innovation in communications technology and products, and in the development of intellectual property. And, Larry Page has confirmed that this acquisition will not change Google's commitment to run Android as an open platform. It seems Android partners are welcoming this news. Google has listed below Quotes from Android partners such as Samsung, Sony Ericsson, HTC and LG. Nicholas Thompson, senior editor at the New Yorker magazine Calls Google-Motorola Mobility Deal `Bold Move'. This deal makes the Google, Apple and Microsoft battle interesting. Motorola is having over 24,000 patents ‘granted and pending’. So, now all these patents will be owned by Google so that it can win the legal war between Apple and Microsoft. Late last year, Motorola sued Apple for patent infringement, noting that the iPhone, iPad, iPod Touch and some Mac computers infringed on 18 of its patents. Google's press release had addressed this Patent war as below. Check this rare opportunity to acquire a profitable Job/career related business at affordable price. This opportunity will end today. And, check this page to know other websites sales. Three days back, I had informed about the Flippa Auctions for selling 3 of our websites. Those Auctions are going to end in few hours. The BIN price for all these three sites are reduced drastically. So, you make use of this opportunity. Today, I have started an another Flippa Auction for selling the brandable job site, GetBestJobs.com website with Resume submission script resales rights. If you are interested in buying this site, you can refer this Flippa Auction. And, remember to correct your name in Google+ Account within the grace period given by Google, if you are using your nick name instead of your real name in the Google+ account profile. Today we have launched a website for showing latest News Automatically. You can visit this site at AutomatedNews.Info. If you are Blog writer who is writing about latest news analysis, this Automated News site will be more useful for you. Because this site will collect the latest news from lot of websites and show it after removing duplicate news so that you can get the interesting and latest news immediately. Right now, this site is showing Business News, medical news, Technology News and sports news. I welcome your suggestions for adding any new News Category. Today we have launched a new website FreeOnlineTimeSheet.Com which hosts SaaS based Time Sheet Application. The companies and individuals can use this site for freely using the online time sheet. I plan to sell this new site thro' the Flippa Auction. I choose this site name, as it is having good CPC and good Search volume. So, the potential buyer can easily earn good income by showing advertisements in this site and/or by using affiliate links. Before starting Flippa Auction, I would like to give preference for our blog readers to buy this site. So, if you are interested to buy this site, you can contact me (rajamanickam.a@gmail.com) with your Offer price to buy this site within tomorrow. Mostly I will be putting it in Flippa Auction tomorrow. And, note that site this site is developed using our own timesheet script, you need NOT make any yearly license fees for using the timesheet script. Few days back Randi Zuckerberg had created news about starting new social media firm RtoZ media. But it seems she is going to Act in Films instead of focusing on her social media start-up. But, Naoh Everett had started his own social media site called as Heello. I have created an account in this new Social media site Heelo. My Hello Id is rajamanickam. Let us see how it is going... I have developed a website Heello.Biz for giving news about Heello and/or for developing business applications, similar to our Twitter Tools for business. It seems Naoh Everett had created this Twitter Challenger as Twitter was becoming competitor to Naoh Everett by introducing photo uploading feature which avoids the need for having third-party tools such as TwitPic for sending photos/pictures thro' Twitter. And, apart from the photo uploading feature, Twitter is introducing two more features also to improve the user experience. Facebook launches Mobile Messaging Apps for Iphone and Android Phones. Facebook launched a mobile messaging application for Apple’s iPhone and Android devices. This new application will be called as "Facebook Messenger" which can be used to exchange messages with Facebook friends but also with other people in a user’s telephone contact list. The app is free, and available for the iPhone through the App Store, and for Android via the Android Market. You can read more details about Facebook Messenger here. Hackers fixed "November 5th" as the Date for desroying Facebook. Hacker Group “Anonymous” who are responsible for cyber-attacks on the Pentagon, News Corp, and others, has selected "November 5th" as the Day for destroying Facebook. They had uploaded a video in YouTube. You can watch below the YouTube video and can read more details here. The hackers selected #opFacebook as hash tag for this operation. Note that this "Anonymous" hackers group already taken initiative to start their own Social Media network "AnonPlus". British Prime Minister David Cameron recalled Parliament from its summer vacation after police made more than 200 arrests in a third night of rioting in London and unrest spread to other British cities. Cameron cut short his Italian vacation to deal with the violence in which gasoline bombs have been thrown and vehicles and businesses set ablaze. He said there will be 16,000 officers on duty in London tonight to tackle any unrest, up from about 6,000 last night. More than 450 people have been arrested, he said. Sixty-nine people have been charged, according to police. A statement from the Metropolitan Police reported “serious outbreaks of disorder,” including looting. A Scotland Yard chief warned that Twitter users could face arrest for inciting violence in the wake of two nights of unrest in London. But some observers have noted that the social media that has really helped "organize" the looting is not Twitter or even Facebook. Many of the teenagers running through London's streets are communicating by BlackBerry Messenger. BlackBerrys cost less than smartphones and that BBM is both essentially cost-free and invisible to police. 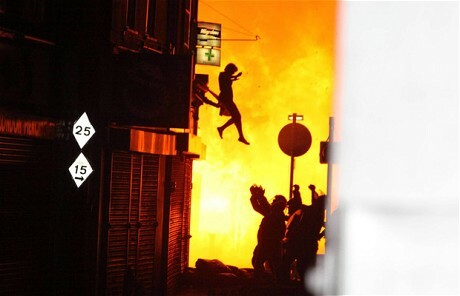 The below picture shows a woman jumping from a burning house in Croydon. Recently Randi Zuckerberg had resigned from Facebook and announced that she is going to start Social Media Firm "RtoZ Media". The Media is eagerly expecting the launch of "RtoZ Media", and looks like the "RtoZ Media" makes lot of News in near future. So, there is a huge earning potential for "RtoZ Media" related news site. So, we developed a RtoZ Media News site SEO friendly, and this site is appearing in the first page of the major Search Engines (Google, Yahoo, Bing) for the important keywords such as "RtoZ media". I have started a Flippa Auction for selling this valuable website. You might have heard about the story about Facemash.com which was used by Mark Zuckerberg before starting facebook.com. The Domain name alone sold for $30,201 in a Flippa Auction. Anyway, I am NOT going to wait till the Auction reaches more than $30K for this site even when this site is having more earning potential than the facemash.com. I set the Auction duration as 3 days only, and I set reasonable reserve price only. So, I believe someone can use this rare opportunity. And, I am having few other important sites/domains also. You can refer this page for more details. You can easily get those domains/sites without involving in the Auction process. Anyway, I may start Auction for those domain/sites also if they are not sold within few hours/days. What is SaaS / Cloud Computing? - Guest Post by ERP Analyst. Read below the Guest Post of Derek Singleton, an ERP Analyst. If you're involved in enterprise tech in any way, then you're probably familiar with software as a service (SaaS). However, if you're a business or prospective software buyer, then you're probably aren't as in tune with the SaaS, or "cloud computing" phenomenon. At Software Advice, we speak to software buyers on a daily basis that are curious about SaaS but they have a lot of questions about the technology. To help answer some of these questions in a systematic way, I recently put together a guide that answers the top ten questions that we frequently hear from software buyers. I'd like to share the top three that we hear on a consistent basis. 1. Is My Data Going to Be Safe? This is far and away the number one question that we get asked. It's an understandable reservation that people have but it seems like more of a distractor than anything. When you consider how widespread payroll processing and timesheet tracking programs like Timesheet are, it's a bit perplexing as to why people are so worried about the safety of their data. In the case of a program like Timesheet, the data is protected in a data center that probably spends more on data security measures than any internal IT program could afford. Furthermore, it removes the need for paper tracking systems which saves time, money, and paper. The benefits far outweigh the unlikely event of your data getting compromised. 2. Who Owns The Data? After security, this is the next question that gets brought up. Most businesses want to protect every competitive advantage that they have. This is perfectly understandable. In any respectable SaaS program, you remain the owner of your data. Most SaaS contracts, known as service level agreements (SLAs), also contain a provision that explicitly spells out that you're the owner of your data and it's yours to keep no matter what. If this is a concern that you have, read through the contract to make sure there is some a clause that clearly spells out the ownership of data. If you can't find this anywhere in the contract, that's a red flag and you probably shouldn't sign with this vendor. However, no respectable vendor would insist on keeping your data. Although SaaS is only starting to gain a foothold in the enterprise technology market, it's not very new. In fact, the idea of SaaS has been around since the 1960's but the technology didn't come around until later. It's arguable when the first SaaS program actually cropped up, but we started to see the technology rear it's head in the 1990's. By the late 1990's some of today's the most powerful SaaS companies were getting founded. The world's most prominent business software SaaS vendor, Salesforce, actually got it's start in 1998. Since it's founding, Salesforce has grown by leaps and bounds. Today, they have more than 100,000 customers and several million users. As SaaS gains more recognition, SaaS companies will only gain in prominence and power. If you'd like to see the rest of the questions that I answer on my blog at Software Advice, please visit: What is SaaS? 10 Frequently Asked Questions About Software as a Service. I had written lot of blog posts explaining the fast growth of Social Media sites such as Facebook, Twitter and Google plus. 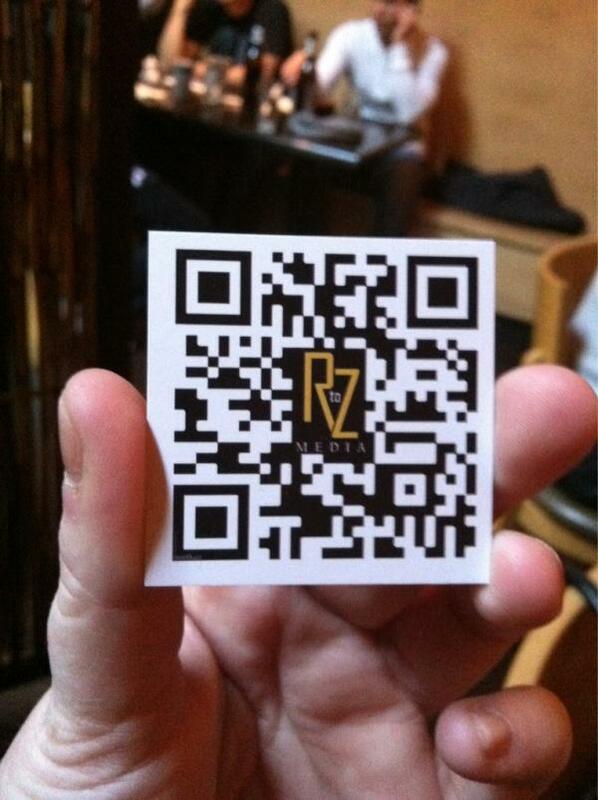 A new Social media Firm named as "RtoZ Media" is getting started. It will be started by Randi Zuckerberg who is the sister of Facebook CEO and Founder Mark Zuckerberg. She had resigned from Facebook for starting this new firm "RtoZ Media". She was working as Director of Marketing at Facebook. Randi Zuckerberg's this decision is getting various comments. Find below some of them. 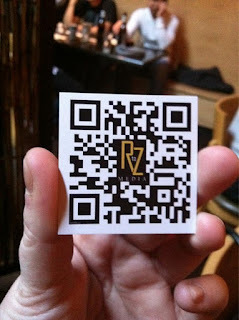 "Jump ship before it sinks"
"Facebook is the new Myspace"
Till today, there is no significant news about RtoZ Media. Even there were NOT able to bring their website RtoZMedia.com. But, Randi Zuckerberg may do something to promote her RtoZ media. Because she was able to achieve great success with "Facebook Live" when she was working with Facebook. So, I think she will not fail abruptly. She may try something to make to successful. What do you think about the future of RtoZ Media? You can share your thoughts thro' the comments. It seems Randi has started taking some steps to promote RtoZ Media. Recently She had arranged contests to promote #r2z twitter hash tag. She is conducting programs like “Do you want to meet Randi Zuckerberg?” in schools and colleges. A Startup "Unified" has informed that Randi Zuckerberg's "R to Z Media" is one of their Customers of their newly launched "Social Operating Platform (SOP)"
Randi Zuckerberg launched "Social Media Syndicate" to coordinate the most influential individual publishers to generate a mass social mobilization for eradicating HIV (AIDS). All the press releases about this announcement show "R to Z Studios"as Randi's Company name. It is not clear whether it is typo in the press release or Randi is going to change her company name as "R to Z Studios" as most of the people didn't like the name "RtoZ Media". Still the name "R to Z Studios" or "RtoZ Studios" is NOT much different from the name "R to Z Media". What do you say? You can share your thoughts thro' the comments. It is confirmed that Randi Zuckerberg had changed her company name from "R to Z Media" to "R to Z Studios".Find below the logo of "R to Z Studios". This Logo was getting displayed in the Home page of RtoZ Studios website. It seems Erin Kanaley Famularo will take Production Director role in "R to Z Studios". And, Randi Zuckerberg will be the CEO of the R to Z Studios. Randi Zuckerberg and Bravo Team up for "Silicon Valley" Reality Show. Randi Zuckerberg had again changed her company name to "Zuckerberg Media". Watch below the Video about Zuckerberg Media. We have released new version of our Timesheet. This new version is released to fix few bugs in the previous release and to improve look and feel of the UI. This latest version (v3.1.1) is having below updates. -- After successfully installed this script send mail to site admin about login url and site admin details. -- No need to update siteadmin email and browser title in anywhere. If you want to change those things open 'config.php' file and change. -- Fixed some issues on previous version and altered 'login' table too. -- Highlighting/selecting menu items based on viewing current page. -- Only one header, footer (header.php, footer.php) file for changing menu details, logo and footer details. -- Updated site admin files for displaying country too while approving that user. We have updated the FAQ section also. I welcome your feedback about this new version.